There’s a new love in my life. I recently discovered the magical world of punch needle embroidery. 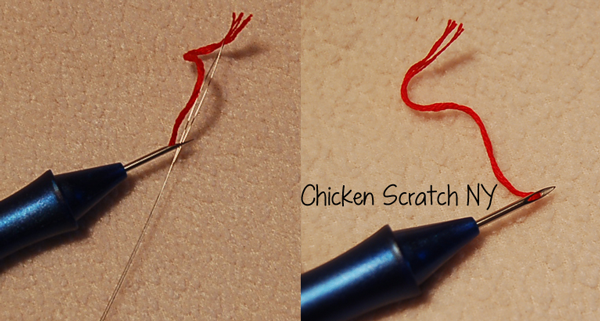 It’s a pretty old school needle craft that has a lot going for it. 1 – It’s really cheap as far as crafting hobbies go. 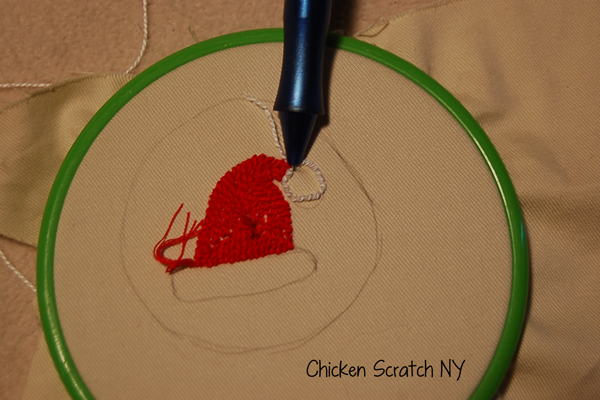 The only spendy parts are the embroidery pen or punch needle and a hoop. 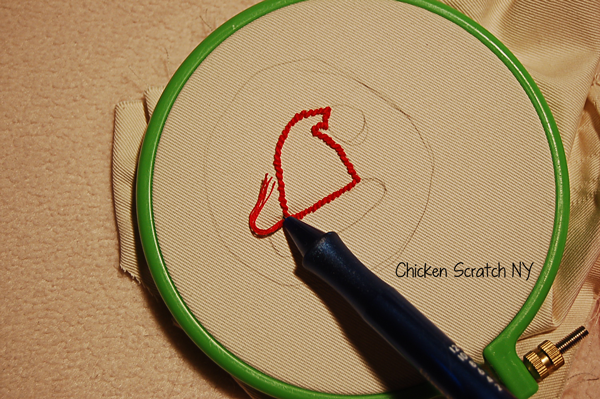 Embroidery floss is very inexpensive and you hardly use any fabric at all. 2 – It doesn’t take up a whole lot of space, you can store everything you need in a small box. 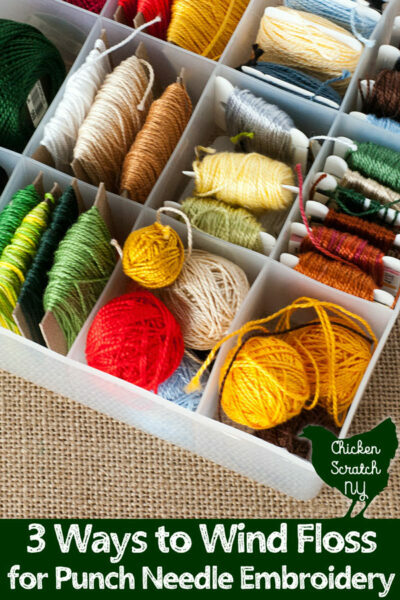 I use one of the shoe box style craft containers from Michael’s. I also keep my floss in a plastic case when I’m feeling organized. 3 – The finished pieces are small and easier to store than say, painted buffets. It’s easy to frame them or put them in a hoop like my ornaments. 4 – The learning curve is small, you can pick it up in an afternoon. And if you go… years without picking it up you can jump right back in without missing a beat. 5 – The finished pieces make great gifts. You can easily swap colors to make things personalized. 7 – The possibilities are endless. You don’t need a pattern but even if you use one there is an infinite number of ways to switch it up and make it your own. Are you convinced? 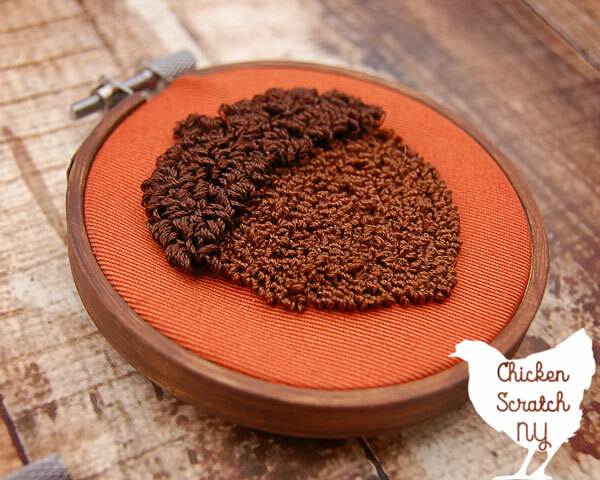 Either way stick with me to the end of this crash course in punch needle embroidery basics and you might find yourself in the mood for some punching. 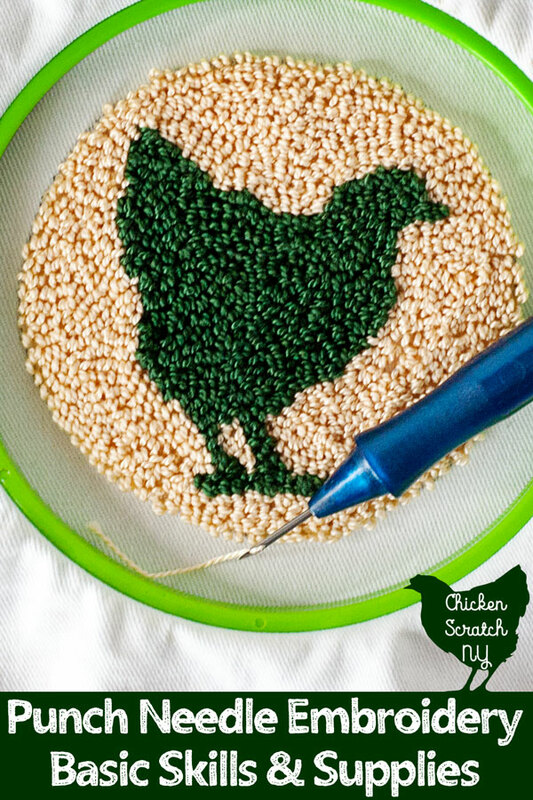 Punch needle embroidery is one of those ‘old’ crafts that maybe your grandmother or great grandmother did. It uses a pen-like needle with thread running through the middle (where the ink would go) to make loops in a piece of tightly hooped fabric. You work from the back of the fabric and push the needle though and pull it out through the same hole, move a little bit and repeat leaving a line of loops on the right side of the fabric. The needle separates the threads in the base fabric making a hole for the thread to go through and when you pull the needle out the hole closes around the thread leaving a loop on the right side. If your base fabric is too loosely woven your loops will fall right out. The terrible cellphone picture above is my first punched piece. I made it for my boss, the white kitty (Mister) was our work kitty until he passed away and then she adopted Honey, the brown striped kitty. She couldn’t take a picture of the two of them together so I made one. ♦️ Ultra Punch Needle Set (needle + threader) I bought a cheaper one on Amazon and it sliced through the fabric, saving the money was not work the headache! *The Ultra Punch was discontinued then bought by a new company in late 2018, they should be easy to find soon! ♦️ Embroidery floss – I really like the look of Size 5 Pearl cotton but it’s not available in as many colors as the regular floss. I never separate my floss, I use all six strands at once. ♦️ Fabric – You’re supposed to use weavers cloth but I never have. I do all of my needle punching in scraps I bring home from work, usually a poly-cotton twill or denim. 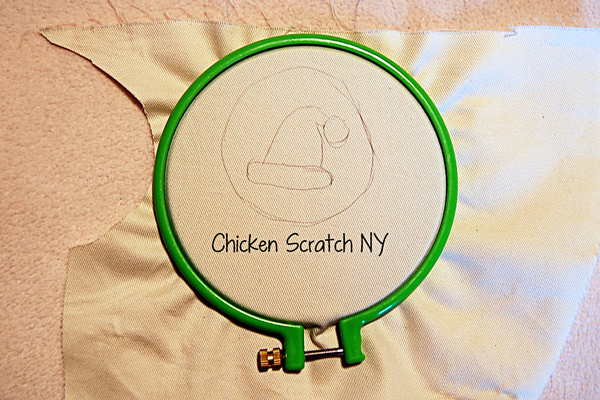 You want a sturdy fabric with a little stretch that will hold the loops in place. If you want to do it the right way you should probably track some down. To he honest you don’t need a pattern. But most of us do better with some type of guideline so they are a good thing to have. In 2018 I started my own line of digital punch needle embroidery patterns so if you like my style you should definitely check them out! 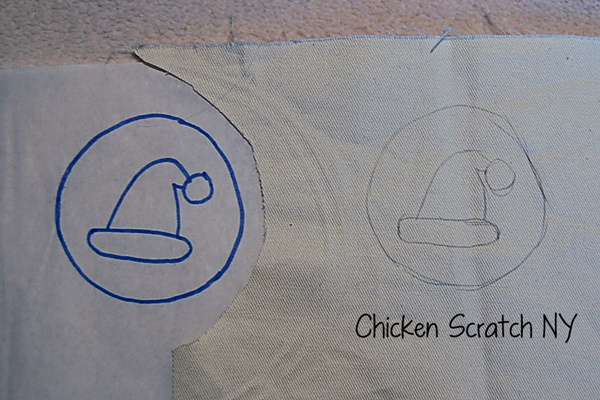 I like to do a rough sketch on the fabric itself and make up the rest as I go along. A quick search on Pinterest for “Free Punch Needle Patterns” will turn up some good stuff. Now that you have the pattern all printed off it’s time to get it onto your fabric. I prefer the window method because it doesn’t require any additional supplies. 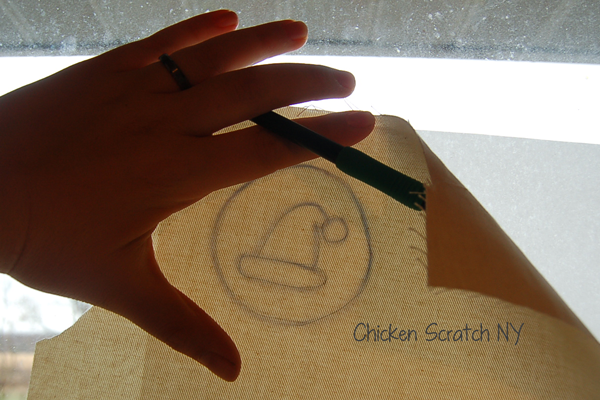 Simple hold the pattern against the window, place your fabric over it and lightly trace with a pencil. If you’re having trouble holding it or the design is a little complicated you can also tape the paper and fabric to the window. The other option is a light table, I’ve seen a few tutorials for those online but I haven’t found the need to make or use one yet. *Remember you’re working from the back so trace your pattern onto the wrong side of the fabric. 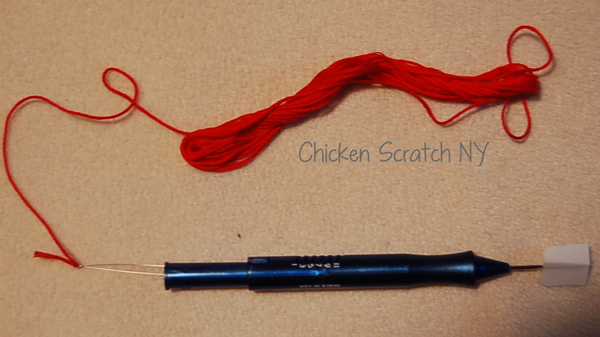 1 – Thread the needle using the threader that comes with your punch. These things are basically invisible and you will loose it constantly. I’m thinking about making a neon flag to attach the end of mine. 3 – Remove the thread from the threader and now place the threader though the hole in the needle. Put the thread back into the threader and pull it though the hole. Remove the threader and put it somewhere you absolutely will not lose it. 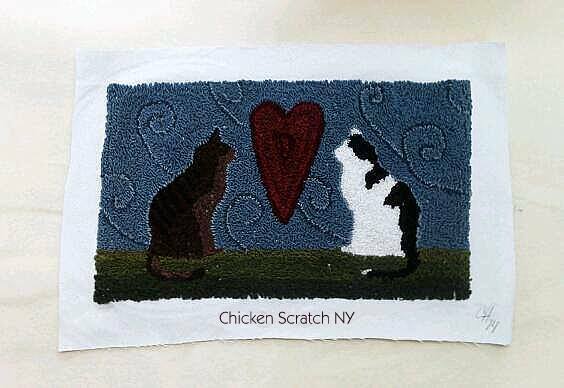 5 – If you’re using a pattern now is the time to transfer it to your fabric (I explained one method in the Punch Needle Patterns section above). Place the inner ring of the hoop on the table, center your fabric over it and apply the top ring, turn the screw to tighten. 6 – Start by outlining the part you’re going to work on. I like to fill in the smaller details and them move out to fill in the bigger sections. You are literally going to punch the needle through the fabric until the plastic nose is resting against the fabric. It makes a little thunk sound with each stitch. Pull the needle out just until the tip of the needle is free and then move down about an eight of an inch. I always work towards myself, rotating the hoop as I go. If your working towards yourself the hole in the needle should be facing away from you. I find that there is a ‘sweet spot’ where the needle goes in evenly and it doesn’t kill your hand. 8 – When you’ve filled in all the areas and you’re done flip over your work. Take a pair of clippers and shear off any loops sticking up too far. Don’t forget to PIN this to your craft board! Just read your infor on the punch needle embroidery. I would like to try it. thank you for the info you posted. Hello……so the beveled part of the needle faces away from the direction your working? AND what kind of fabric are you using in this demo? I can’t punch needle even though I was able to do it before several years ago. No thread will stitch through fabric even though fabric is taut in hoop. Cotton fabric tips, not good. 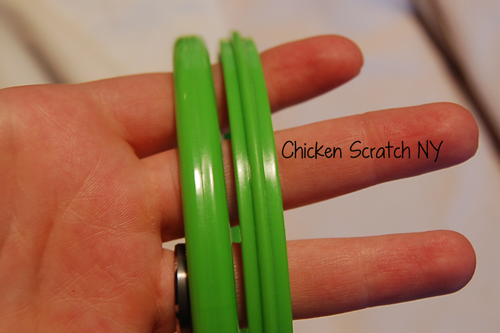 If you are holding needle puncher wrong, loops will not stay. I use a boyce needle puncher, works fine. Is there anyway these instructions come in book form? You tube has good following basics of needle puch. I put my fingernail over the last stitch and slowly pull the needle out then clip. Is there something I can put on the back of material I have 100% cotton bar mop towels that I hand embordrey is there something I cen put on the back so I can punch needle them help please. I just read another article that said fusible, woven interfacing. Haven’t tried it, but might be worth a shot? Thank you for the clear directions! I’m wanting to get started soon and have some questions about the cloth. I saw someone say somewhere to get monks cloth. Is weavers cloth and monks cloth the same? I don’t know if I can get that where I live. Would canvas be kind of the same? I love that you mentioned that this type of hobby is very affordable since, other than the needle, pen, and hoop, the materials are cheap. With that in mind, I have chosen this activity as my past time. Honestly, I have been meaning to start doing something productive in my past time since I feel like using the phone during those times is really making me feel useless. Since I am on a budget, this information is perfect for me. Thanks! I hope you enjoy it! I find it very relaxing and zen. It’s also nice that you can finish a whole project in one evening. Thanks for your clear instructions I’m giving it a go as we speak !!!! Good article, I found it very helpful. I am a brand-new puncher…not yet removed my new pen from its package, and after a half dozen YT vids, I wish I would’ve found this article first, they all were a waste of time. So regardless of the negative comments you’ve received, I’m gonna say THANK YOU for posting! If I may point out one little item…not related to content, but a small grammar/spelling error in the first paragraph – most likely not caught by the word processor (gotta love technology, eh? LOL). First paragraph, line 3, in parenthesis, you wrote. “…and my recently I mean…”, but I think you meant, “…and by recently I mean…”. Should be BY, not MY…I believe. Anyhew, hope I’m not over-stepping, I edit and proof without realizing I am doing it, LOL…so again, thanks for the post. I look forward to exploring your site! How do you calculate how much flow you need for a project? Most patterns will give you an estimate but it will vary with your personal punching style and how close you keep your rows and stitches. Reach out to the pattern designer if it’s not included in the pattern. Also, the more you do, the better an idea you’ll have for what you need to fill in certain areas. I tend to over buy my thread, but I’m also using DMC so if I run out it’s not hard to track down more. Hi Therese, I wanted to make sure you saw this! Most patterns will give you an estimate but it will vary with your personal punching style and how close you keep your rows and stitches. Reach out to the pattern designer if it’s not included in the pattern. It’s harder to do that with hand dyed because there are usually differences in the dye lots, all you can do is buy a little more than you’ll need just in case.